I have been craving for a good, juicy burger for a while. As I don’t eat beef, it’s difficult to find a place where I can get a yummy and juicy burger to satiate my cravings. 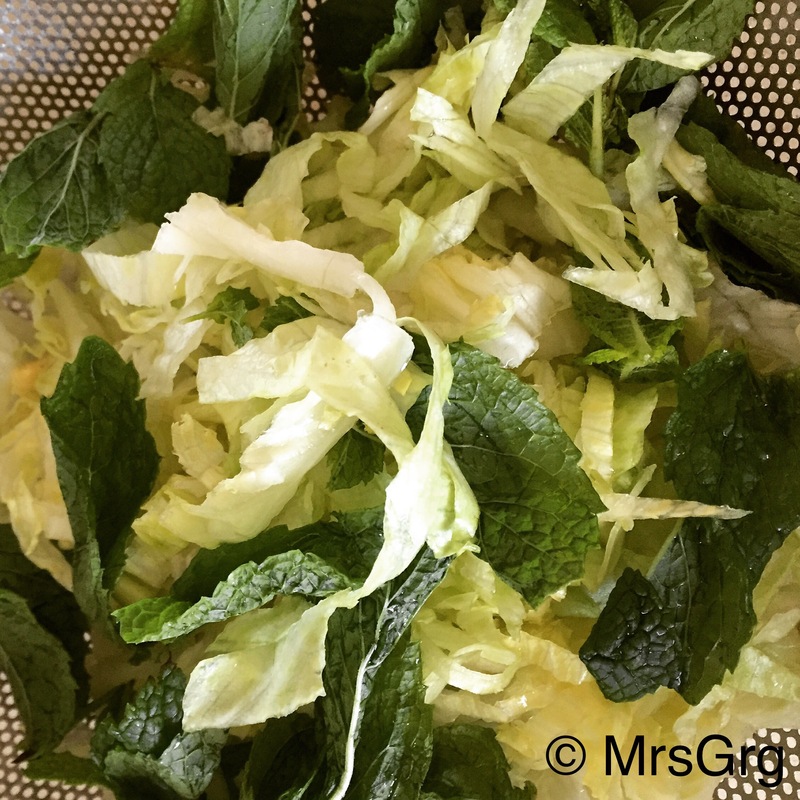 When I came across this recipe, I was super excited as I love Jamie Oliver and his recipes. I was going to make this burger for my Christmas bbq that I organise every year but I dropped the idea thinking it will be too time consuming. I was so wrong. This recipe is so easy and quick to make. I was bit skeptical about using yogurt sauce, but it turned out amazing. The only thing I will do differently is not add lemon juice to yogurt sauce. As yogurt is already tangy and sour, the lemon juice made it tangier. However, the combination of Moroccan spice rub on lamb and the mint salad is amazing. I didn’t have any pomegranate and edible flowers so I didn’t use it. Also as the original recipe said Zaatar powder, I added thyme and sumac powder instead which are the main spices that make Zaatar mix. 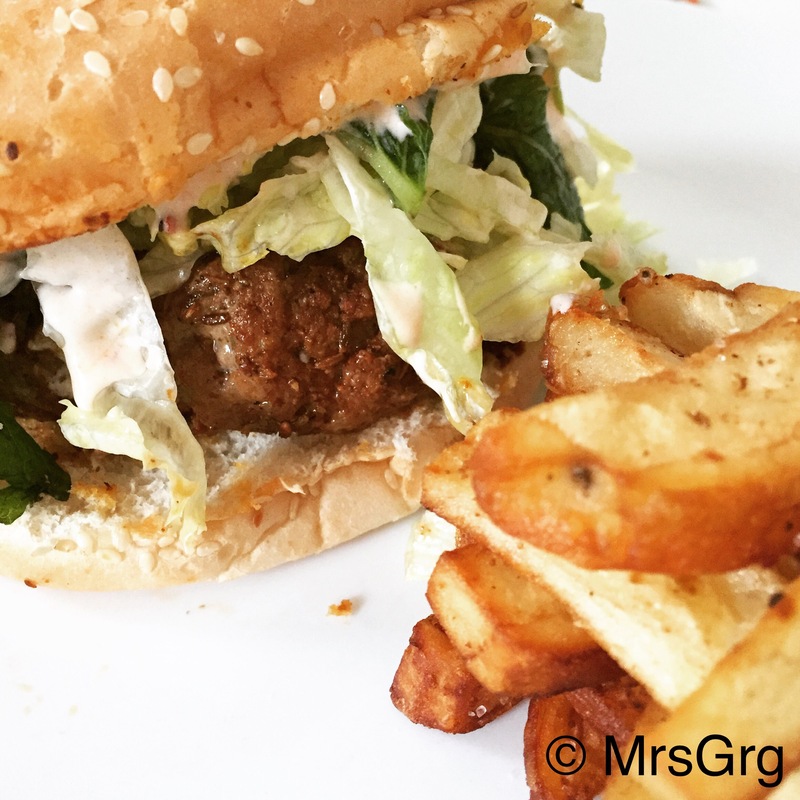 Here’s my take on Jamie Oliver’s Moroccan Style Lamb Burger. 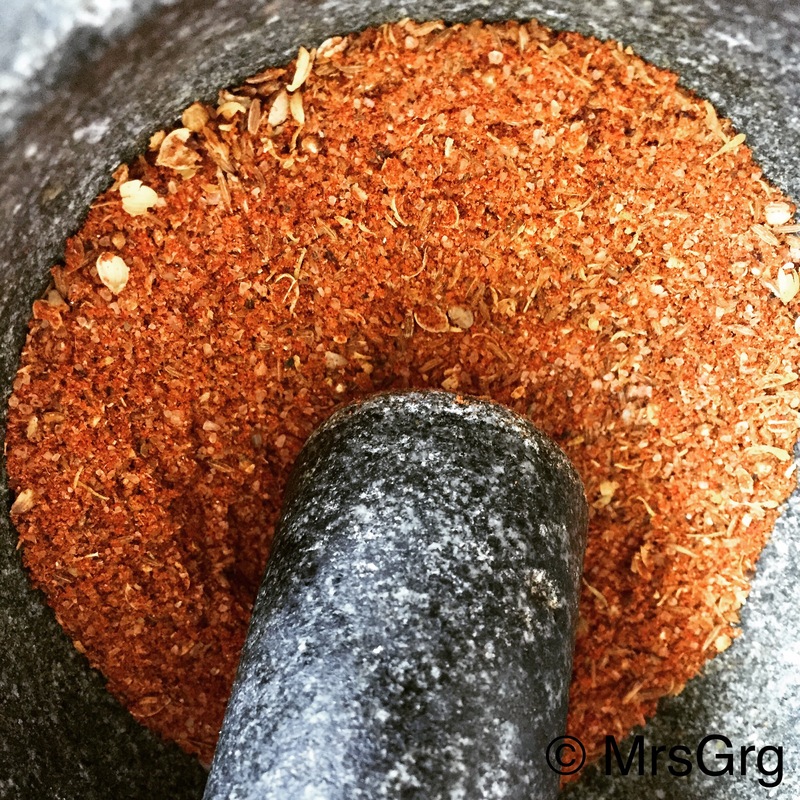 In mortar and pestle, pound the spice rub to make a coarse powder. Set aside. Take the lamb mince and divide into 3 equal balls. Roll the mince patties to smoothen it. Then flatten it into 2 cm thick patties. 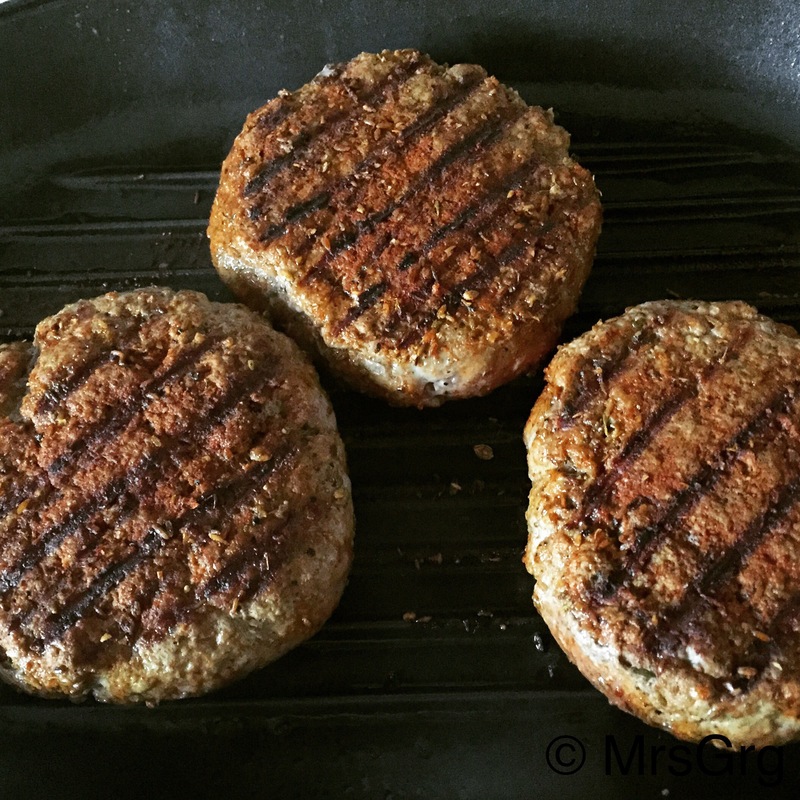 As I wanted to make it a big, juicy burger, I made 3 patties of approximately 250 grams mince. Lay out a grease proof baking paper (or a tray) on a kitchen bench. 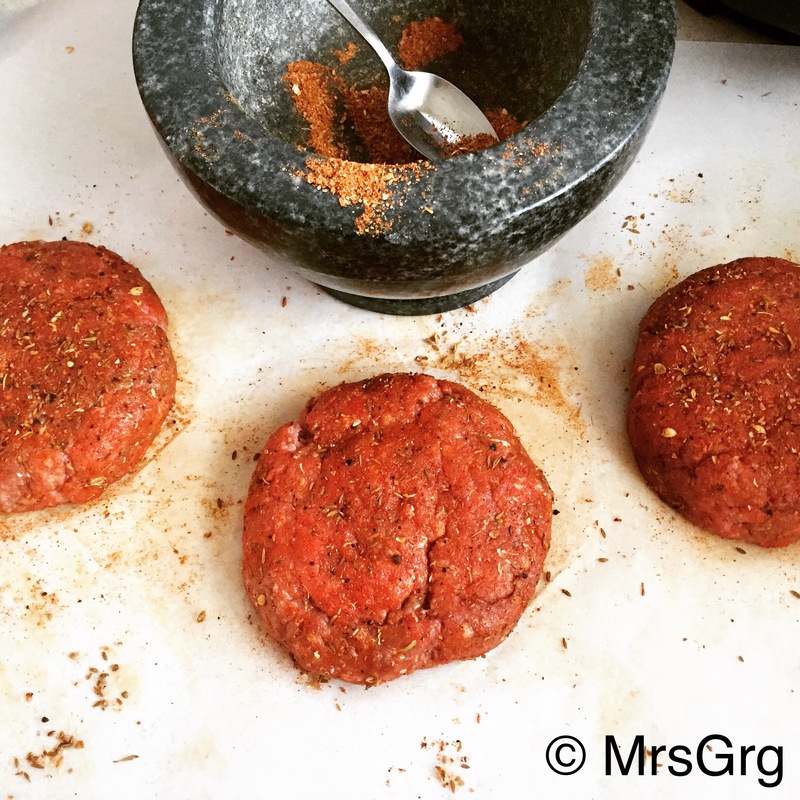 Put the patties on the paper and pat it with the spice rub ensuring both sides are covered. Set aside. 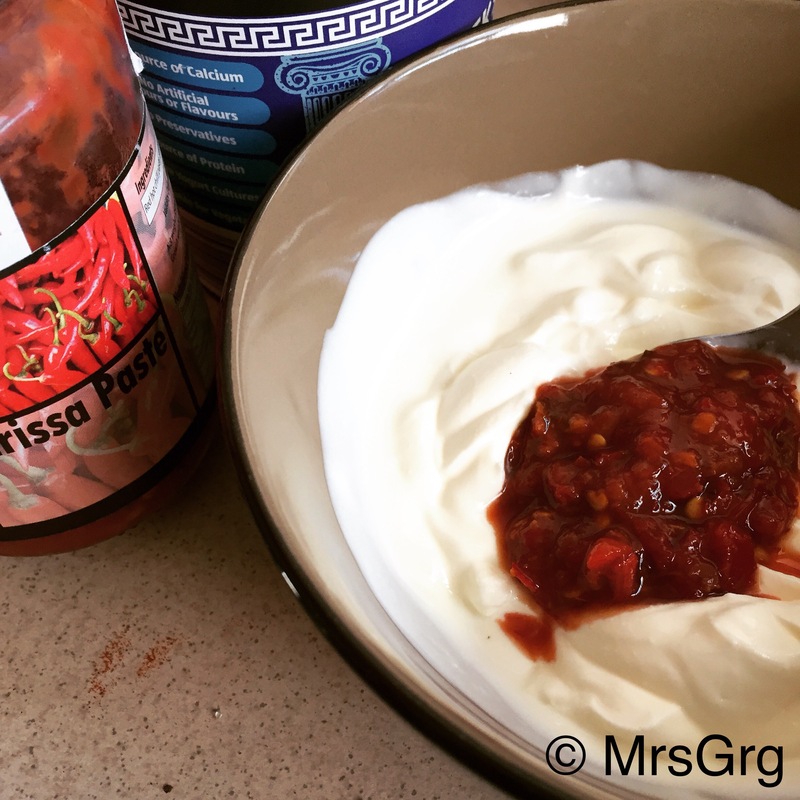 For the sauce, in a bowl add yogurt and mix Harissa paste, lemon juice and olive oil. Set aside. Heat the grill pan on a medium heat. When hot, spray with olive oil. Add lamb patties. 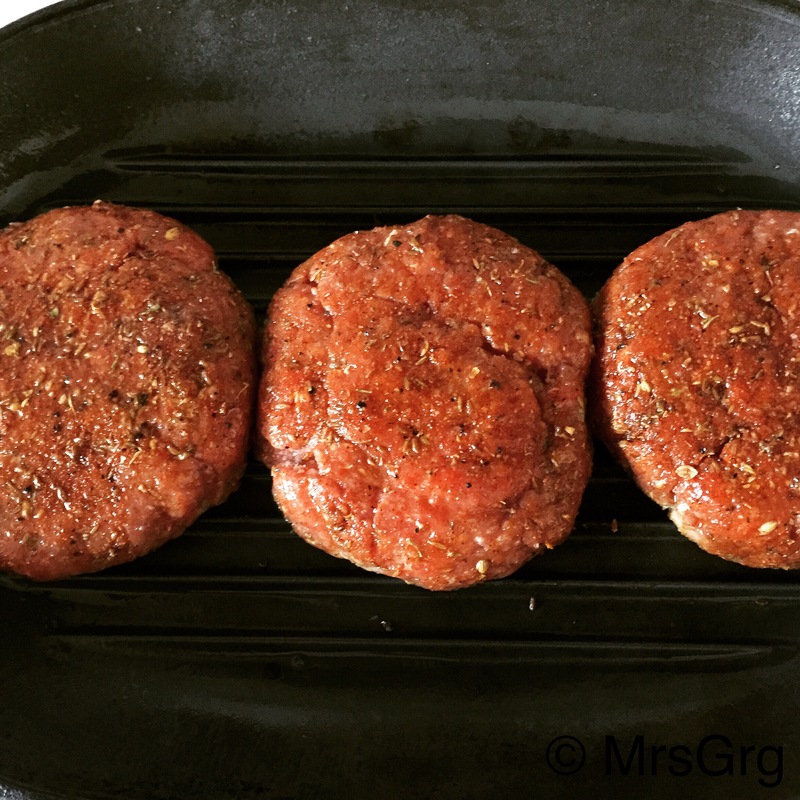 Cook on your barbecue or in a griddle pan for 6 to 7 minutes each side ( came out medium) or until done to your liking. 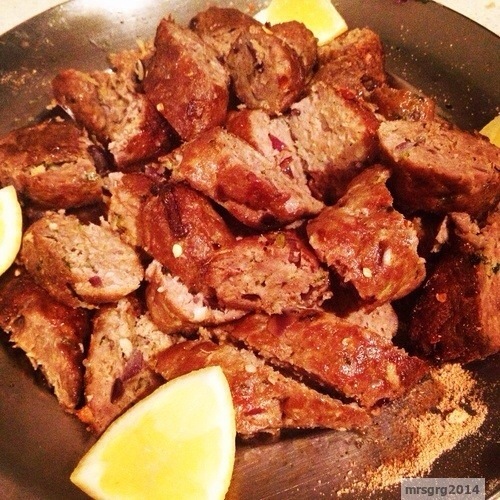 This is a very easy recipe of a sheesh kebabs. We had an indian night for dinner yesterday and I made this recipe along with palak (spinach) paneer and spicy potato dry curry. 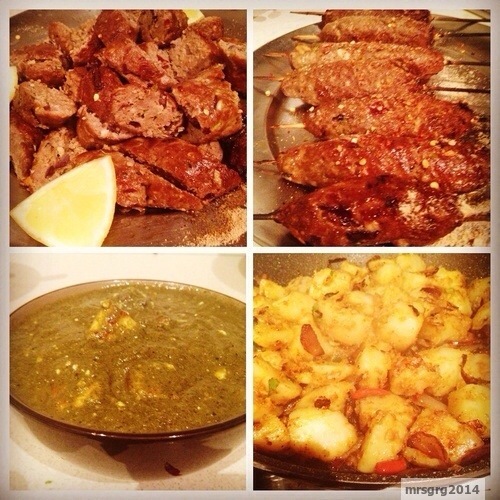 It was an instant hit with hubby and family as they all loved eating restaurant dish at comfort of your home. 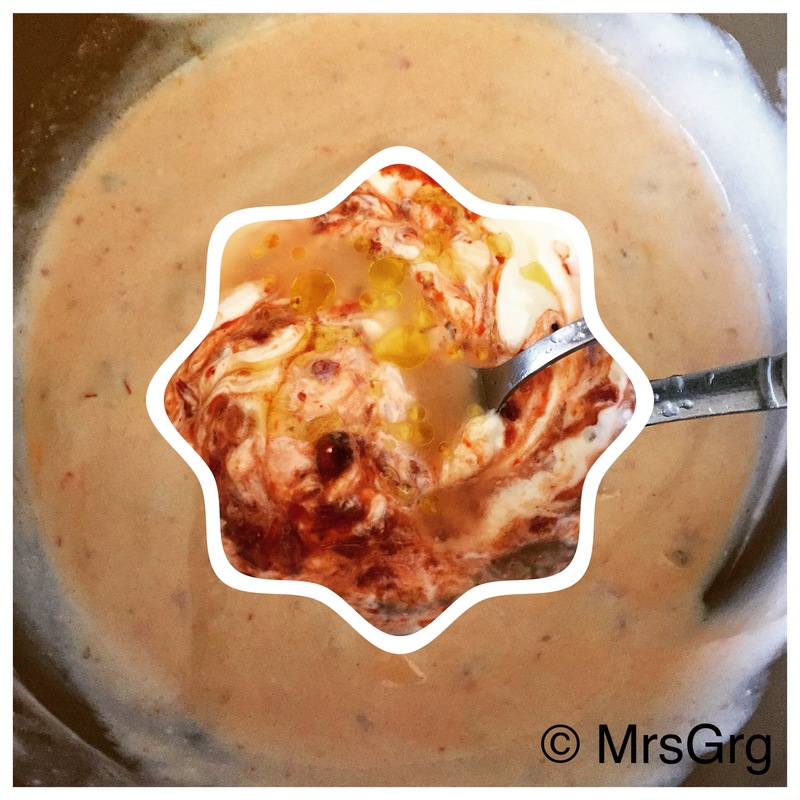 As a new mom, I’m looking for easy meals which takes less time to prepare and cook. We used to go out for dinner every weekend before our lil one came to our life. Since baby’s birth we have had no time to go out. Sometimes when we do manage to go out for dinner, it’s hard with the little one. They want to be fussy or cry when you are about to eat. I do hope once baby is bit older, we may be able to claim our old date nights back. I’m a stay at home mum. I love food and nepali food is always my first choice. But I’m bored of eating same food everyday and I was craving for all these different cuisines, my palate is so used to. So I thought why not make it at home. It’s better, fresher, and cheaper and you can enjoy it while watching your favourite re-run of ‘Friends’ on Telly. Also I had to come up with an inventive way of making mince exciting as my fridge is stocked full of it. I don’t like cutting meat and hubby is busy with Bub so we bought mince for lazy cooking days. So here’s one of many variations of mince dish that’s so quick and easy to make and taste delicious. I’ve also decided that we will have a theme dinner night once a week so it’s exciting to plan and cook dinner and share and enjoy with your loved ones. Please try this recipe, it’s very easy. 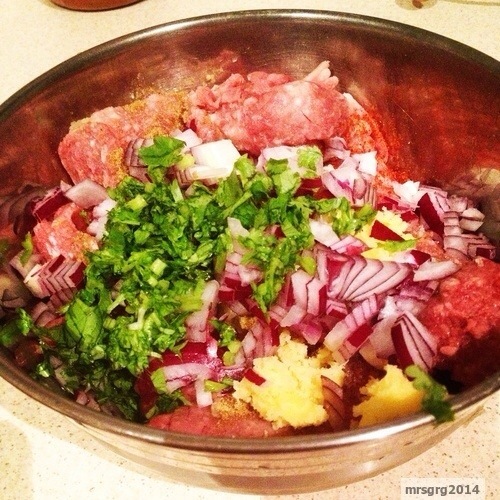 Place lamb mince and all the ingredients in a bowl and mix well. Grease hands with oil and grab 50 gms of mix and shape it like a sausage. Insert the sausage in the skewers. 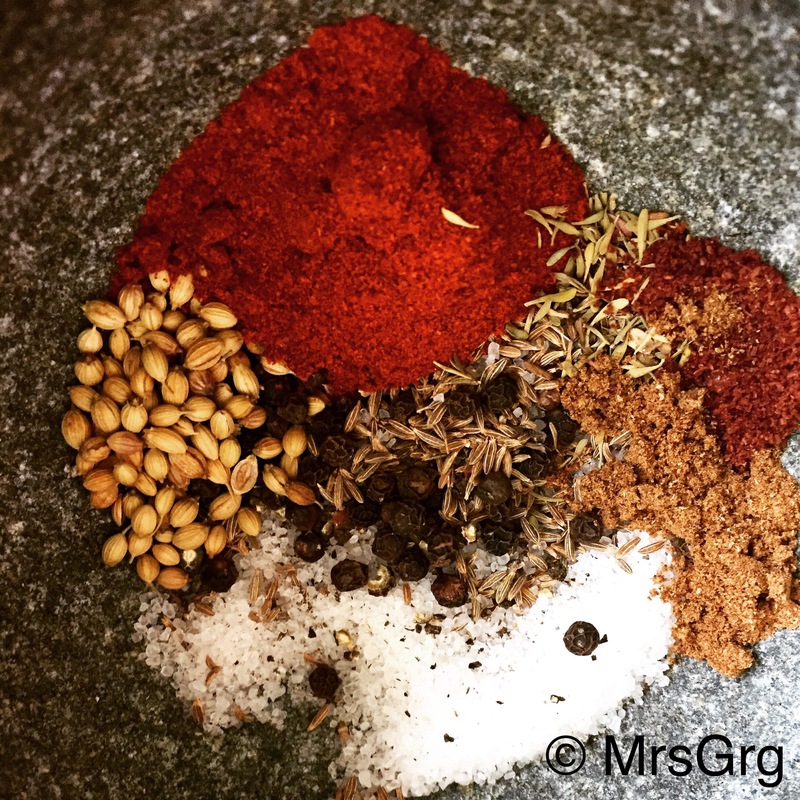 This mix will yield 8 skewers. If you have a grill or tandoor, grill skewers for 5 minutes on each side and it’s ready to be served. As I used oven on grill settings, please follow the instruction below. Preheat oven on 220 degrees for 5 minutes. Line all the skewers on the greased tray and place it in the oven. 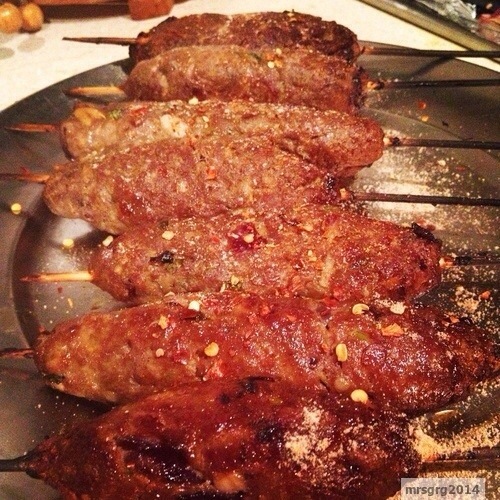 Turn the skewers after 5 mins and cook it for 5 more minutes. It’s ready to be served on skewers or you can take it off the sticks and cut sheesh kebabs into 2 inches in a slanting way. 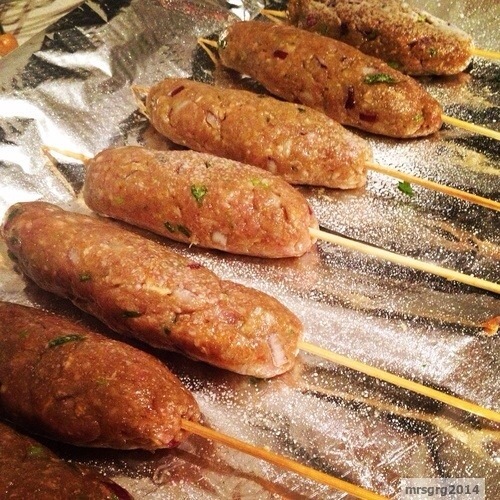 Sprinkle kebabs with some chat masala powder and chilli flakes. Serve hot with lemon wedges or raita dip if you like.